28 Jan 2019 Washington, D.C.
Holder is scheduled to appear in Iowa to deliver what Ryan says will be a “major speech” in February, and Ryan says he will make his determination on a potential 2020 presidential campaign sometime in mid-to-late February. Breaking: @EricHolder for POTUS? Sources very close to @EricHolder affirm his decision will be announced mid to end of February on a run for president. He is said to be consulting with many people about the matter. He also delivers a major speech in Iowa in February. When Ryan first suggested Holder may be running for president in 2020, back in the middle of last summer, Holder was then asked about her tweet saying he was considering a bid by Stephen Colbert on The Late Show. If Holder does pull the trigger on a presidential bid, he will have a lot of scandal and baggage to overcome to get elected to the highest office in the land. His time as Attorney General is the most scandal-plagued in the history of the office, and he remains the only sitting Attorney General ever held in criminal or civil contempt of Congress. Congress held Holder in both types of contempt, criminal and civil, with official U.S. House floor votes in 2012 over refusal to cooperate with the congressional investigation into the Operation Fast and Furious scandal. Holder also had a very combative relationship with Congress generally, and with the media. He attacked media for critically reporting on the Justice Department, and came under intense criticism for seizing phone records from the Associated Press. His official government staff also enlisted outside leftist groups to attack journalists with dishonest smear campaigns in his broader effort to silence critics. Holder did end up surviving through the 2012 election deep into former President Barack Obama’s second term, before he eventually resigned to be replaced by similarly controversial Loretta Lynch. 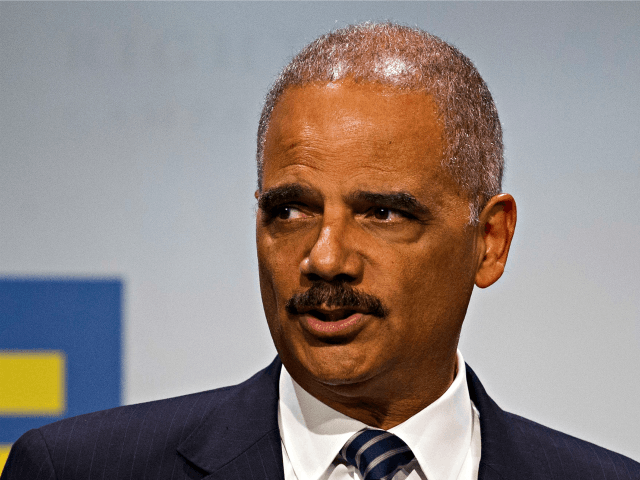 Fast and Furious, the scandal for which Holder was held in both criminal and civil contempt of Congress, was one of the deadliest scandals in U.S. history. Not only were Fast and Furious guns used in the murder of Border Patrol Agent Brian Terry, but Mexican prosecutor Patricia Gonzalez–whose own brother was kidnapped and murdered with a Fast and Furious weapon–said that “thousands” died as a result of the Obama administration’s incompetence. “The basic ineptitude of these officials [who ordered the Fast and Furious operation] caused the death of my brother and surely thousands more victims,” Gonzalez said, according to the Los Angeles Times. Holder’s criminal and civil contempt charges from Congress–both of which won bipartisan support, from Republicans and Democrats–came in the wake of Obama using executive privilege to shield his attorney general from being compelled to comply with lawfully issued congressional subpoenas served upon Holder from the House Committee on Oversight and Government Reform. Fast and Furious, for which many questions remain unanswered, is not the only scandal of which Holder was at the center during the Obama administration. He similarly found himself in the middle of various financial scandals, the IRS scandal where the government overly criticized conservative groups, the Benghazi terror attack scandal, and countless more that all would surely come back to life front and center should Holder throw his hat in the ring. Holder would also be running against a very crowded Democrat field, in which several top Democrats including Sens. Kamala Harris (D-CA), Elizabeth Warren (D-MA), Kirsten Gillibrand (D-NY), Sherrod Brown (D-OH), Cory Booker (D-NJ), Gov. Jay Inslee of Washington, Gov. Andrew Cuomo of New York, Rep. Tulsi Gabbard (D-HI), former Housing and Urban Development (HUD) Secretary Julian Castro, former New York City Mayor Michael Bloomberg, former Rep. Robert Francis “Beto” O’Rourke (D-TX), former Vice President Joe Biden, and potentially many others are either already running or considering getting in.